The following information is provided by the Center for REALTOR® Development (CRD), with assistance from Lauren Hampton and the Podfly editorial team, and recaps CRD Podcast Episode 11. Teams are an increasingly popular method of serving clients in the purchase and sale of a home. Teams in real estate are the future because the job is getting harder, and it’s almost impossible for one person to do it all on their own without dropping the ball on something. Episode 11 of the Center for REALTOR® Development’s (CRD) Podcast is all about teamwork in real estate, whether you want to build a team, join a team or communicate better with a team. Our guest Matthew Rathbun comes with substantial firsthand experience. After years of observing teams and being a part of them himself, Rathbun has learned what works with teams and what doesn’t. Below are 10 important pieces of advice from Rathbun to consider when designing a real estate team. Business planning is a huge part of starting a team. A very healthy team is a great work environment, but it requires significant planning. The No. 1 failure is that teams become an agent and an assistant and they get to a point where they just start throwing people together as a team, rather than sitting down and making a plan for moving forward. We typically default to what we do best, and when you look for people to fill out your team, you want someone whose skills and traits are compatible with yours, but not exactly the same. Rathbun suggests using online personality tests and a two-system interview process to help with rounding out the personalities and skillsets of your team. When you get to the point when you’re ready to hire someone, you want to have a written job description. You need to have something to hold them accountable for and they need to have something to measure up to. Every team is unique in what positions they need to have filled, but it all needs to be written out from a practical standpoint, as well as for legal purposes. Another thing to consider as a team leader is the element of training. With a huge influx of newer and younger agents, they might be expecting education and mentoring. As a team leader, you are taking responsibility for people’s livelihoods. Once you find the right person, you have to intentionally spend time with them cloning your good skills, as well as sharing where you’ve made mistakes so they don’t do the same thing. There are different levels of rules for every state and also every broker. Rathbun and host Monica Neubauer discuss some of the legal aspects of agency. The broker needs to make decisions about dual agency and make sure the client signs an agreement, if that’s the case. Team leaders should ensure that listing specialists are not sharing more information than they have to with buyer specialists. Any potential conflict of interest should be disclosed. If you think of the team as an entity, it makes it much easier to make the rest of those decisions. A team should provide new members with some leads, with the expectation that they eventually start to generate their own business. There should be a balance between personal production and supporting the team. Team members should be looking for people who are a doing a moderate amount of production and could benefit from the training of the team, both for themselves and the team as a whole. Financial splits are specific to your team, how many people are on your team and what they’re doing. Every situation is different, and in many cases states do not allow agents to pay other agents, so the broker becomes responsible for this. You have to start with what the broker permits. If you’re starting a team, there should be a higher percentage of compensation for agent-generated business than team-generated business. A portion of everything that comes in should go into an account for fees. It’s important to establish an environment that supports teams—not just a place to work, but things like technologies, policies and training. When it comes to administrative help, Rathbun recommends using any of the virtual assistant programs out there in the beginning. Virtual assistant sites probably have someone with experience and ideas that could work for you. This is likely not a long-term solution, but can be good in the interim until you find and can afford the right person to bring on. With large teams, communication can be very difficult, both within the team and between the team and the client. Having a good rapport with the buyer agent and the client is crucial to continued business. A big part of the systemization of your team should be focused on how you can communicate literally, clearly and well. If you have a transaction coordinator, they should be introduced early on to the client and the opposing agent of the team, and all communication should funnel through one person, or two, at most. 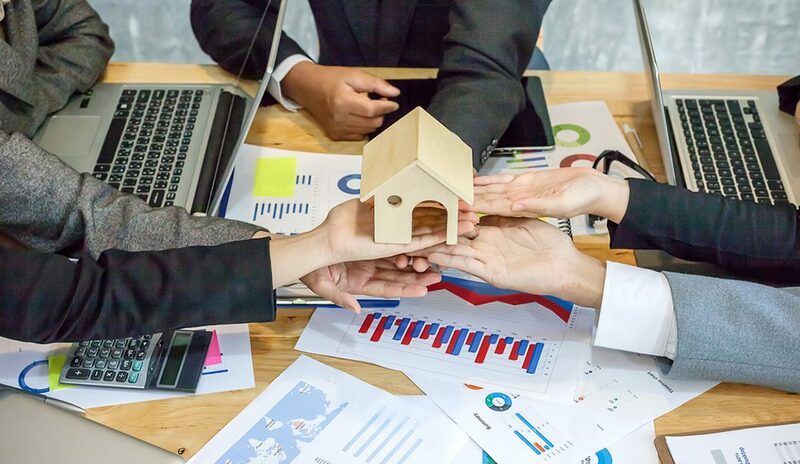 To learn much more about developing and managing healthy and effective real estate teams, consider obtaining REBI’s Certified Real Estate Team Specialist (C-RETS) certification. This entire month of February, all the C-RETS online certification courses are offered at 25% off their regular prices.